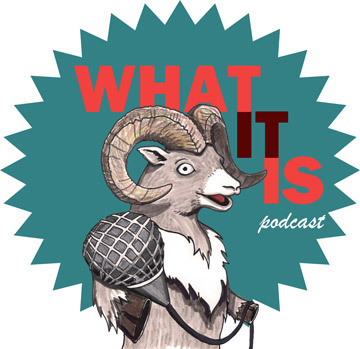 Here at the What It Is Podcast we love The Edmonton International Fringe Theatre Festival and every year we make it a tradition to interview AS MANY FRINGE ARTISTS AS POSSIBLE! We would like to interview you! We will be in the NORTH BEER TENT on the Fringe Grounds at 3 different times in the first weekend. You can feel free to drop by at ANY TIME and we will put you in the queue to be interviewed. We are seeing artists on a FIRST COME, FIRST SERVE basis. Recording with each guest will be approx. 7mins. We only require one or two reps per show at a time. Please do not send multiple people to discuss the same show at different intervals. These interviews will be collected, edited into hour long episodes and released on Monday August 15, Tuesday August 16 and Wednesday August 17 and Thursday August 18. Feel free to email us at whatitispodcast@gmail.com if you have any questions or concerns! We hope to see you at the North Beer Tent on Friday, Saturday or Sunday!